The fact that both schedules incorporate QTIS Bonus events should help boost starter numbers during a busy period. 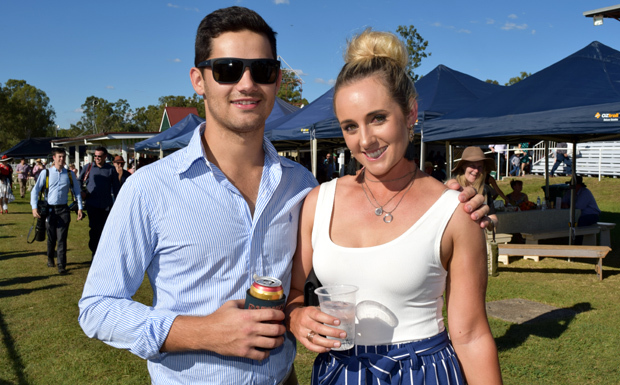 The Easter Saturday program at Lee Park has a long history of being an opportunity for social renewals with both former residents, visitors and locals catching up at the track. A day out at the races has always been a popular source of entertainment during the four day Easter break. By coincidence, the race names at other venues tie in with aspects of Nanango’s principal date. For example, Randwick will host the time honoured Champagne Stakes and All Aged Stakes. Lee Park has a special bubbly bar that also serves up platters, and there will also be something for each generation. Face painting, Easter eggs and the donning of home-made Easter bonnets are part of the fun for children. 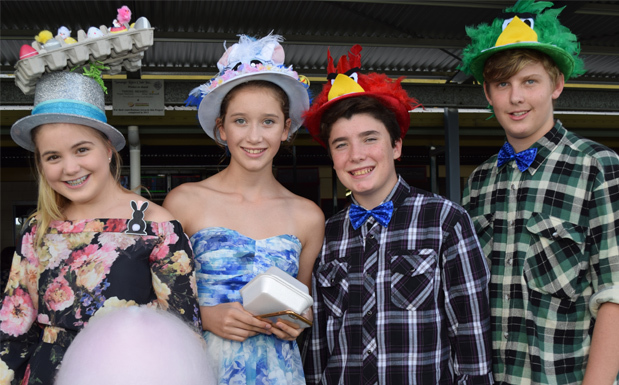 McDonalds at Kingaroy assist with prizes for the junior fashions. Top hats, along with Easter Bonnets, is an option for the Fashion competitions for all age groups. Once-a-year patrons need to note that the fashion entry process now involves the taking of a selfie of yourself or a group at the track. The image has to uploaded to the Nanango Race Club’s Facebook page or Instagram account before 3:00pm to be in the running for a prize. If you are keen to enter but do not have the technology to do so, you can create a chance to meet new people. Someone will be only to happy to help you. Moffatdale Ridge Wines Fashions Of The Field prizes include vouchers and gifts from Sassy Mama Fashion and Accessories at 45 Drayton Street, Nanango and vouchers from Coppards, the South Burnett’s clothing legends at 219 Kingaroy Street, Kingaroy. Winners could contemplate using vouchers in some way for their attire for the May 25 Nanango theme of Fab Furs, Pearls and Braces. Live music will add to the colour and atmosphere of the day. Picnics on the lawn (without BYO drinks) are also welcome, and so is the erection of private marquees. Complimentary buses will be running from Kingaroy’s Glendon Street Bus Depot at noon and the rear of Nanango’s Fitzroy Hotel at 12:30pm. Admission is just $10 for adults and $5 for pensioners (under-16s are free). Phone Rosemary Hansen on (07) 4163-2346 or email her for more information. The South Burnett Race Club’s Marquee Mall at the Wondai race track is a superb spot near the outside running rail in close proximity to the winning post, betting ring and bar. Given that entry to the course is only $10, it is certainly worth an extra $5 per head for a private table. The full group set up – with ten reserved seats – is just $50, but the fee needs to be pre-paid to ensure there’s no seating double-ups. You can reserve as spot by contacting Christienne Nettelfield on 0499-873-269. Space is limited, though, so early finalisation is paramount. Wondai’s Anzac Day fixture has a touch Australian heritage about it, particularly with the running of the Wondai Diggers Club Cup, a contest sponsored by the Wondai RSL Sub-Branch and the Wondai Diggers Club. Defence personnel have been specifically involved in racing, albeit often for one event per year, through the eras. A quick flick back over the TABQ’s Annual Report for 1971 shows there were Diggers’ Race Clubs at Augathella, Barcaldine, Bell, Boulia, Bulloo, Clermont, Collinsville, Cunnamulla, Dirranbandi, Duaringa, Goondiwindi, Herbert River, Hughenden, Longreach, Mackay, Mount Isa, Normanton, Quilpie, Richmond, St Lawrence, Toowoomba, Wandoan and Warwick while Charleville, Mitchell, Springsure, and Cloncurry had a Returned Soldiers Racing Club. Of course, over the last four decades there has been significant rationalisation. 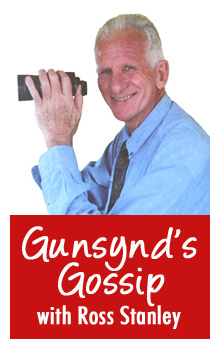 Today only Goondiwindi, Wandoan and Quilpie remain on that list. Legacy Australia, the charity that is dedicated to caring for the families of the nation’s incapacitated and deceased veterans, will continue to benefit from the South Burnett Race Club’s Anzac Day venture. The retirement of the boom three-year-old The Autumn Sun brings back memories of the early feats of Tulloch, an inaugural inductee into the Australian Hall of Fame. The freakish phenomenon, before almost losing his life and enduring an absence of almost two years, put together a string of extraordinary performances in his first two seasons. His juvenile year produced a 13:7-6-1 form line, including the Sires Produce Stakes triad at Flemington, Randwick and Eagle Farm. Bar the Star Kingdom colt’s breakdown, Tulloch was the only rival to defeat the brilliant Todman. At three, Tommy Smith’s charge compiled a 16:14-1-1 record. The Warwick Stakes, Rosehill Guineas, AJC Derby, Caulfield Guineas, Caulfield Cup, Victoria Derby, C.B Fisher Plate and the QTC Derby comprised the Khorasson colt’s unbeaten sequence. The autumn kicked off with two placings before a remarkable 12 length victory in the VRC St Leger (14f) began another sweep of six straight wins. The first pair were the Rawson Stakes at Rosehill and Warwick Farm’s Chipping Norton Stakes. Next up, it was a twenty length margin in the AJC St Leger (14 f). Four days after the marathon, “Little Joe” won the AJC All Aged Stakes (1m) and just three days later, he was back to 14 furlongs for the AJC Queen Elizabeth Stakes on 12 April. For the season, he had scored seven times from nine assignments against the older horses. On March 23, 1960 Tulloch’s comeback began in the VRC Queen’s Plate (10f). The 4/1 shot, after a titanic struggle, downed the reigning Victorian weight-for-age star Lord (9/4) by a short half head. It was one of those momentous occasions when champions showcase their true mettle.